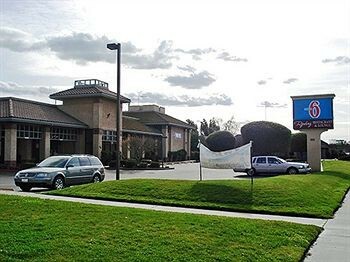 Property Location Located in Oakdale, Motel 6 Oakdale is minutes from Oakdale Cowboy Museum and Mike&apos;s Card Casino. This hotel is within the region of Rainbow Fields and Creekside Golf Course.Rooms Make yourself at home in one of the air-conditioned rooms featuring refrigerators and microwaves. Complimentary wireless Internet access keeps you connected, and cable programming is available for your entertainment. Bathrooms have shower/tub combinations and hair dryers. Conveniences include desks, as well as phones with free local calls.Dining Enjoy a satisfying meal at a restaurant serving guests of Motel 6 Oakdale.Business, Other Amenities Featured amenities include a safe deposit box at the front desk and coffee/tea in the lobby. Free self parking is available onsite.